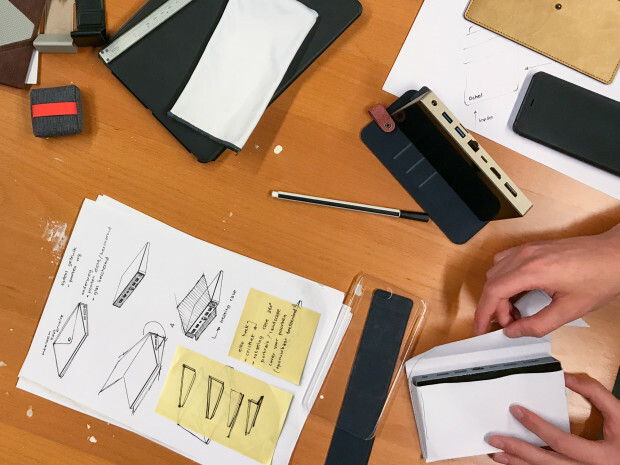 Our creative master minds Jan Paul and Wouter have conceptualized the first accessories for the Ockel Sirius A (Pro). One of the most requested accessories in the backer survey that was sent out a couple of months ago was a protective case. We are thinking about creating a case that doubles as a stand, so if you want to use your Ockel Sirius A for things like video calls or streaming, you don’t have to hold the device in your hand all the time. At this moment, we don’t know yet what the cost of the case will be, nor in which colors and materials it will become available, but we will work out the details in the next weeks. We will also continue with the ideas for a basic protective sleeve as well as a custom stylus pen.